Our service does not end with the burial or cremation. Our Aftercare Program provides many helpful resources to help you in the days, weeks and years following the death of a loved one. One of the best steps in starting to heal is by taking time to celebrate and remember each persons life through our Life Celebrations. There are many resources available to people dealing with the loss of a loved one, ranging from anonymous on-line resources to grief support groups to one-on-one counseling with a licensed therapist. We provide families we serve with access to Caring Voices™, giving you a toll free number to call 24 hours a day 7 days a week to speak one on one with a professional grief counselor at no cost. 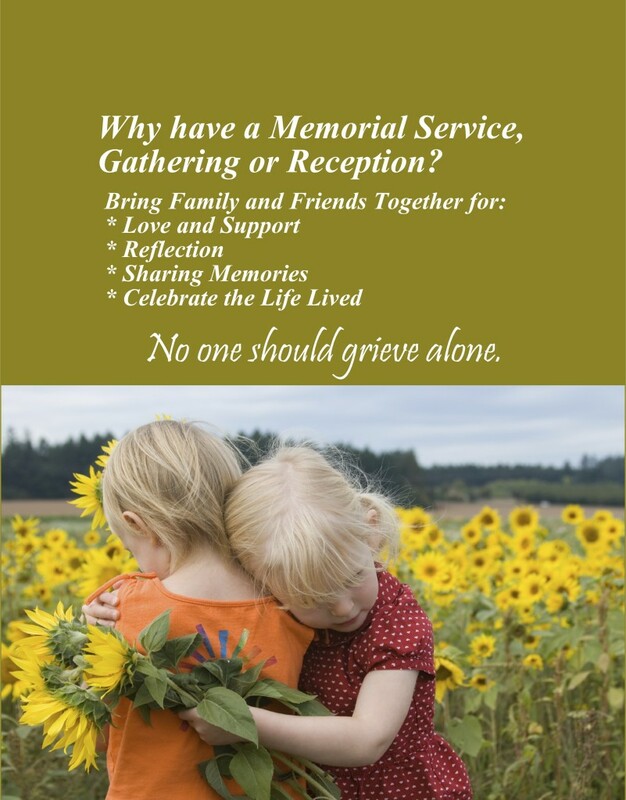 We also provide support for you and your loved ones after the funeral with our valuable after-care package that includes materials on coping with the grief process, valuable lists of details to take care of after the funeral and information about veterans and social security benefits. Also, by having a final resting place in our Memory Gardens, everyone has a place to visit and remember, for years to come. The death of a loved one creates a difficult time for surviving family members. We are here to help you. Every life has a story…We remember each one.